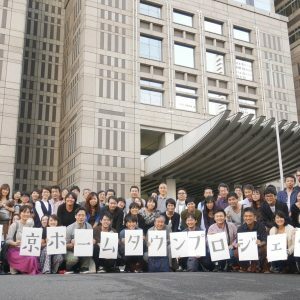 For the fourth year in a raw, Service Grant Japan is hosting Pro Bono 1-DAY Challenge in Tokyo, as a part of the commissioned project called Tokyo=Hometown Project with the Bureau of Social Welfare and Public Health, Tokyo Metropolitan Government. 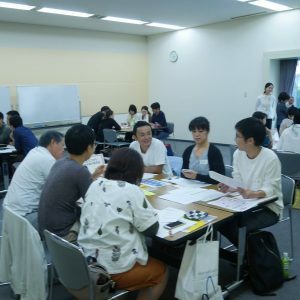 This project is built to support not-for-profit organizations which are engaged to improve local health care services for the elderly in Tokyo. This year, more than 70 pro bono workers, with the wide range of people from 20s to 60s, have been assigned to support 13 local not-for-profit organizations. Each teams consist of 4-6 members with different background and business skills. This program is designed mostly for beginners of pro bono. On-site pro bono activity is supposed to be completed only in 1 day, with 1 month of preparation period.